ElectroStatic Solutions is a company founded and dedicated to electrostatic loudspeakers. We are an authorized dealer for Soundlab and ENIGMACoustics electrostatic loudspeakers. We provide products and services for maintaining all models of Quad Electrostatic loudspeakers and the Stax F-81, F83 loudspeaker. Whether you are looking to purchase a loudspeaker, parts, replacement panels, electronics, or complete speaker restorations, our products and services are cost-effective solutions for servicing, maintaining and upgrading your loudspeakers. We believe the Soundlab line of full-range electrostatics represent the pinnacle in loudspeaker technology available today. A true full-range electrostatic Dr. West has been quietly designing and producing the finest loudspeakers since the late 70’s. Soundlab is dedicated to electrostatic theory and development. This commitment has created a true break-through product employing unique construction techniques and materials. The result is a robust loudspeaker free of the typical problems of previous electrostatic designs and offering state-of-the-art performance. The best way to experience the magic of the Soundlab is to hear them! Our showroom is located in Kansas City, Missouri and we offer travel expense reimbursement if you should decide to purchase a pair of Soundlab loudspeakers. We cover all products we sell with a 3-year service warranty and offer in-home delivery, installation. Quad loudspeakers are the most successful electrostatic loudspeakers produced with more than 100,000 loudspeakers in the field and a production history spanning 50 years. 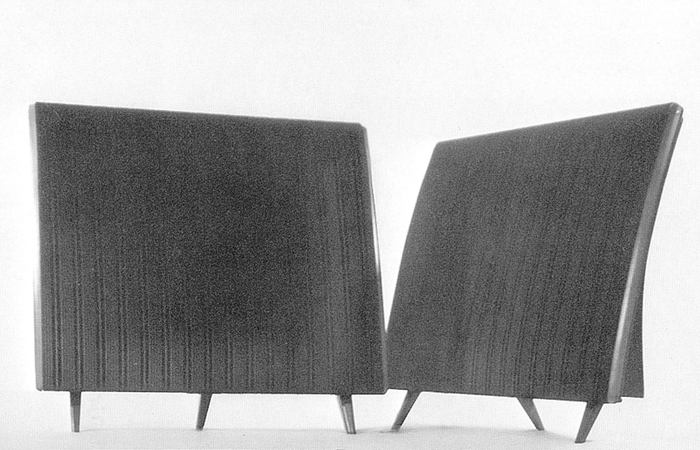 No other loudspeaker has been at the center of attention and admiration longer than the Quad. For most owners the term "Walker's Wonders" describes them best. 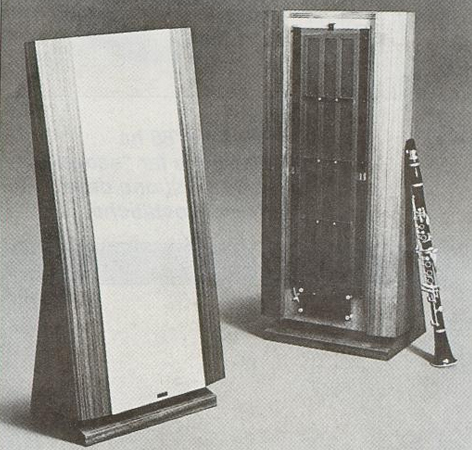 Quad produced the first full-range production electrostatic loudspeaker, the ESL, beginning in 1957 with production ending in the early 1980's. 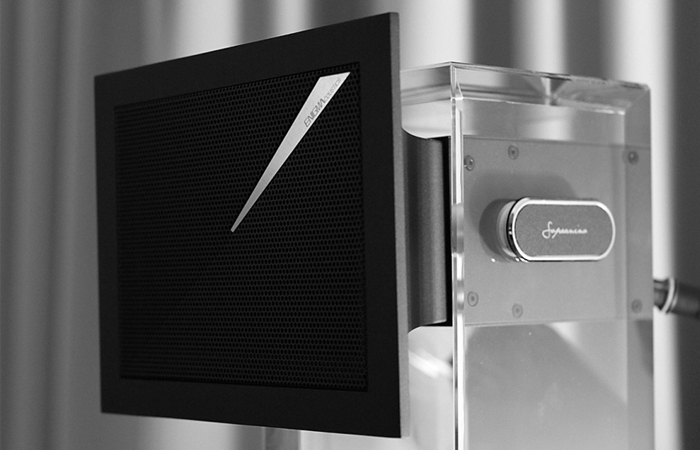 The speaker was ground breaking in every regard, a true revolution in loudspeaker technology. Little technology remains from the 1950's that can be considered state-of-the-art, but a properly functioning original ESL may still be considered SOTA in many areas of performance. It is a model of phase, driver integration and image precision. No speaker has been produced that truly obsoletes or makes irrelevant the original Quad ESL. The ESL63 is Peter Walker's second electrostatic speaker coming nearly 24 years after the introduction of the original ESL. While many designers would have chosen the easy path and simply improved their original concept, making it larger, play louder, Peter Walker chose a different route. The ESL63 employs a series of concentric annular rings to mimic a true point source radiator. On axis the listener is presented with a virtual point source approximately 30cm behind the diaphragm. With the ESL63 Peter Walker solved the major problems of driver dispersion common with other electrostatics. Vertical dispersion, dynamic range and response at the frequency extremes was greatly enhanced versus the original ESL while retaining the qualities that define the speaker as a Quad. The Quad legend was born more than 50 years ago and is as true today as it was over a half century ago. Talk to someone who owns a Quad speaker and you are probably talking to someone that owns their last speaker. Times change, fashions and tastes change, but Quad speakers remain in the heart's and mind's of some of the most dedicated audiophiles and music lovers around the world. 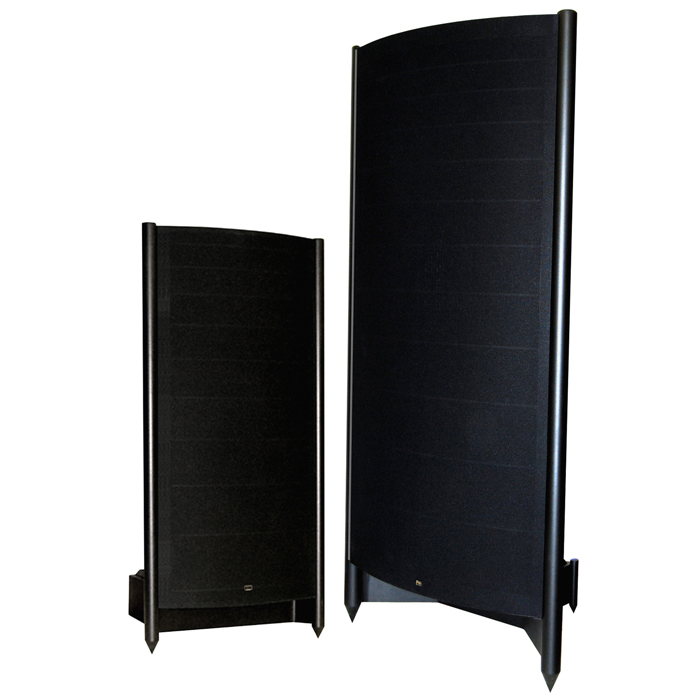 ENIGAMAcoustics is new to the market offering a unique approach to electrostatic speaker design. The Sopranino add-on tweeter is a ground breaking product the first production electret employing a permanently polarized diaphragm. No external power supply or crossover network is required to drive the speaker making the integration with any existing loudspeaker straight forward and simple. We believe the Sopranino is the ideal system for extending the high frequency response of any loudspeaker but it works especially well with the original Quad. Many systems have tried over the decades to enhance the Quad with questionable results. The Sopranino is the first to succeed without degrading the performance of the original Quad. Few speakers are in the same league as the Quad, but one such speaker is the Stax ELS F-81. Approximately 1,000 units were produced from 1981 to 1992. A stacked pair version of the F-81 was produced primarily for the US market, the ELS F-83. Only a few pair were produced. Both speakers have a near cult following and are extremely rare. ElectroStatic Solutions provides service and rebuild options for both Stax speakers. Call or write for further information on services available for Stax electrostatic speakers. We welcome your inquiries and look forward to discussing your electrostatic loudspeaker needs by phone or email. ElectroStatic Solutions is a company founded and dedicated to electrostatic loudspeakers. We provide products and services for maintaining and restoring classic Quad Electrostatic speakers including the original ESL, ESL63, ESL98 and ESL05 series speakers.